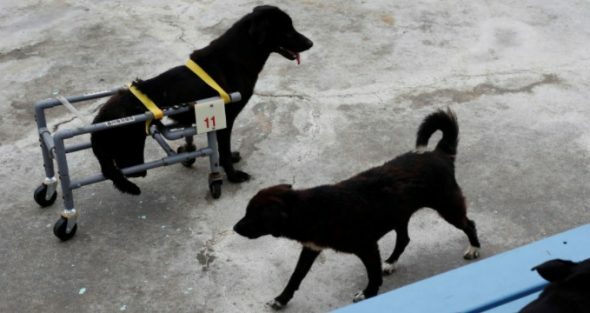 Disabled dogs at an animal shelter in the city of Tainan, Taiwan are being given the gift of better mobility thanks to Pan Chieh, and the really cool doggy wheelchairs he builds for them. Chieh said that it was a personal experience he had that set him on the path he’s currently on, and he devotes almost all of his spare time to this particular cause. It was after a close friend of his rescued a stray dog. His friend wound up being charged by the animal hospital she had brought the dog to for a medical checkup for a wheelchair. The cost of the service, added to the cost of the chair meant that his friend wouldn’t be able to get the chair. The poor dog would have to make do with limited mobility. Chieh knew that he couldn’t let this stand. It just wasn’t fair for the dog to have to suffer through mobility issues, when the dog had clearly been through quite a lot in a short time already. That’s when he decided to make a wheelchair for the dog himself. “The first dog recovered completely after using the wheelchair, which gave me a lot of confidence,” said Chieh. After that, he just kept going and hasn’t looked back since. 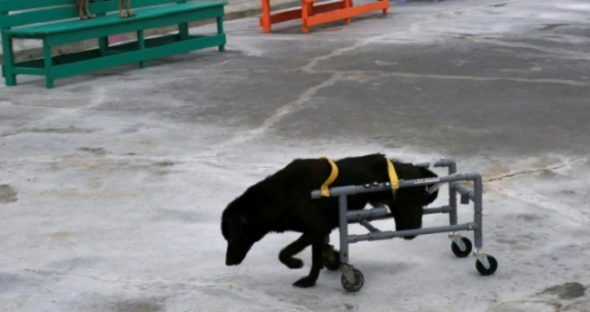 He now makes the carts for dogs and cats, and is able to customize them to each animal in need. 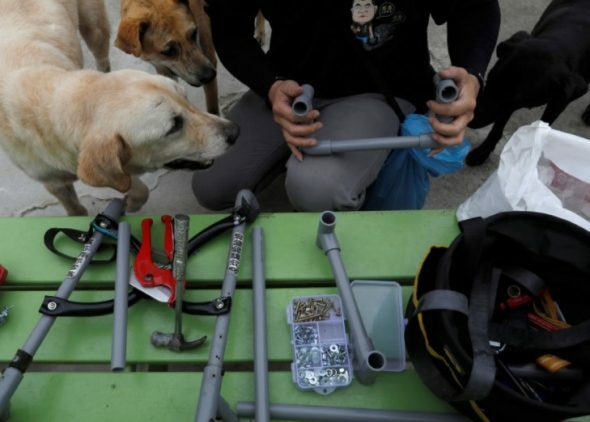 After the devices are assembled, he takes them to shelters all over town and fits them to the dogs and cats.